March 2018 Practice News - Introducing Dr Lisa Carroll - We're Hiring! We are so very excited to welcome another chiropractor on board! Dr Lisa Carroll will be joining our Fulham clinic in March 2018 where she will be practicing on Mondays, Wednesdays and Saturday mornings. Lisa has a wealth of chiropractic experience treating all people with a variety of techniques. Graduating from Anglo European College of Chiropractic in 2007 with a Masters Degree in chiropractic, Lisa opened a clinic in South West England which soon became several clinics! Having recently sold all the practices, she has embarked on a new and exciting chiropractic journey in the big city of London! You might see Lisa in the Fulham clinic over the next few weeks – observing Emily and getting to know our patients, so be sure to say hi! She starts in the clinic on Monday 5th of March and will be here Mondays, Wednesdays and Saturdays. Read more about Lisa on our staff Profile page. Emily will be in the Fulham Clinic on: Tuesdays, Thursdays and Friday mornings. Emily will be in her Four Marks, Hampshire clinic on: Wednesday and Friday afternoons. Lisa will be in the Fulham clinic on Mondays, Wednesdays and Saturday mornings. Emily will be away from 14th March to 28th March 2018, flying off to South Africa to help teach chiropractic care for pregnancy and children. Of course there is a little bit of holidaying to be taken too! 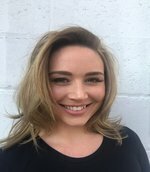 Lisa will be taking care of Emily’s patients in Fulham during this time, so please do get in touch if that niggle starts up or if you simply want a maintenance check-up; Lisa will be delighted to meet you and happy to help! We need a Saturday morning receptionist for approx. 4-5 hours each weekend. Customer service experience would be an advantage but full training will be given. Please spread the word if you know someone suitable! Did you know that 1 in 3 people on the planet don’t have access to a proper loo? Toilet Twinning raises funds to provide proper toilets, clean water and hygiene education (simple but life changing things like washing hands with soap) in some of the poorest countries in the world. We’re twinning our toilet to help raise money to build a loo. We need to raise £60 to twin our toilet! £60 is what it costs to build a toilet for a family in need. And we will double whatever we raise. Look out for our collection box at front desk.